Editors note: SikhNugget has been aware for many years that the above photo was not genuine. 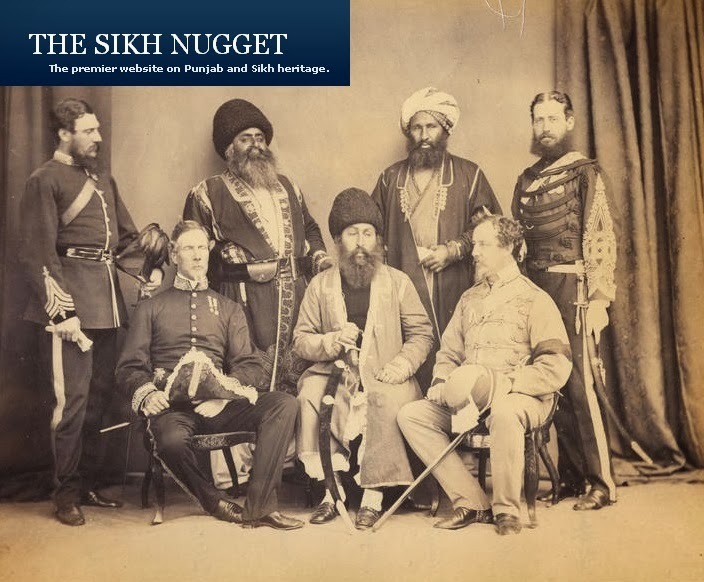 PATIALA: The majestic group photograph, which for generations has been accepted as the only photograph of maverick leader Maharaja Ranjit Singh (sitting in the centre), was an unfortunate case of mistaken attribution wherein neither the person under consideration nor the year as claimed matched the historic facts. Sparking a debate on the authenticity of one of "the oldest" photographs taken in India, latest findings by the British Library and Victoria and Albert Museum, London, documents revealed that neither the Maharaja nor the British officials, including Lord William Bentinck, were part of the photo. The historic picture, believed to have been taken during a meeting between the Maharaja and the British officers in Ropar on the banks of the Satluj in 1831, has been published numerous times as "the only picture of Maharaja Ranjit Singh" in magazines, textbooks, documents and even displayed in various museums. Others in the frame were claimed to be Fakir Aziz-ud-din, prime minister of Maharaja Ranjit Singh, and legendary Sikh fighter Hari Singh Nalwa. Interestingly, photography technique was still in its nascent stage in 1831, as initial experiments on the technique began in Europe in 1830 only. In fact, photography technique was first published by Louis Daguerre in 1839 and William Fox Talbot, who invented the calotype process (a precursor to photography of 19th and 20th century) did not patent it until 1841. The British Library and Victoria and Albert Museum documents provided by England-based Punjabi poet Amarjit Chandan, also revealed that the person in the picture was Amir Sher Ali, son of famous Afghan king Dost Mohammad Khan. 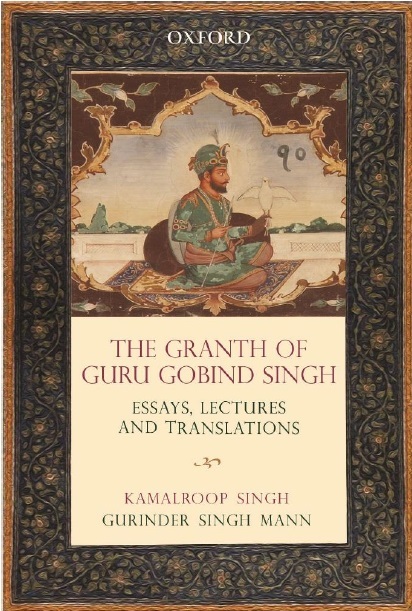 Historian Surinder Kocchar, too, claims that he, while consulting British Library records, had chanced upon over two dozen photographs of Amir Sher Ali, who was mistaken as Ranjit Singh. "The figure depicted in the photograph bears no resemblance to any of the portraits of Maharaja Ranjit Singh, who always wore a turban with a kalgi. None of them shows him wearing a fur hat," the London-based library claimed. Both Maharaja and Bentinck coincidently died in June 1839. According to British Library records, the picture was taken in 1869, almost 30 years after the death of Maharaja in Lahore. The facts provided by the "Oriental and India Office Collections" of the British Library further revealed that the photograph was probably taken in Peshawar, not Ropar, when the Amir was on his way to Ambala to meet Lord Mayo, the then viceroy of India. "I procured the documents around 21 years ago, when a Punjabi newspaper in England published the picture. Ironically, nobody had cleared the air on the issue and the photograph is still being used as of Maharaja Ranjit Singh," Amarjit Chandan told TOI from England.